The full and effective implementation of China's One Belt, One Road (OBOR) initiative will provide opportunities for cooperation between China and members of the Eurasian Economic Union (EEU). The initiative could be considered a long-term plan for forging closer economic ties, enabling an efficient and convenient business environment for cross-border flows of capital and other resources. The EEU, which entered into force in 2015, is a multilateral economic and trade organization including Russia and members of the Commonwealth of Independent States (CIS) such as Kazakhstan, Belarus, Armenia and Kyrgyzstan. With the EEU's efforts to enrich and improve its regional integration mechanism, the linking of China's OBOR initiative and the EEU is attracting attention. EEU members adhere to an export-oriented developing strategy, and are making joint efforts to consolidate and develop economic integration within the CIS. Against a background of weak global growth and severe trade protectionism, the EEU members have become increasingly connected. With the implementation of regional integration measures, EEU members have made arrangements on facilitation of trade, investment, finance, labor and livelihood. There is enormous potential for cooperation between the EEU and the OBOR initiative. The EEU's economy is highly complementary to China's, which calls for efforts to tap the potential for further cooperation. 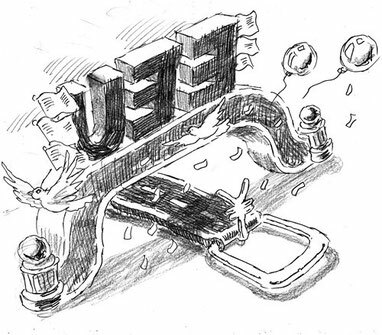 The EEU's business environment continues to improve, which is beneficial for attracting foreign investment. Russia, Kazakhstan, Armenia and Kyrgyzstan have joined the WTO and thus have the obligation to open up their domestic markets to Chinese enterprises. Belarus has begun negotiations to join the WTO. The recent development of economic cooperation between China and the EEU has provided major opportunities. First, merchandise trade among China and EEU members remains dynamic. There are a wide variety of goods that are traded, and Chinese mechanical and electrical exports have seen rapid growth and are likely to gain more market share in the EEU. China has become one of the most important trade partners for Russia, Kazakhstan and Kyrgyzstan. Those nations are rich in energy, timber, metallic minerals, chemical products, fertilizers and agricultural products like cotton, leather silk and hemp, which China is short of. EEU members' strong demand for mechanical and electrical products provides opportunities for Chinese overseas direct investment. There is demand for a wide variety of mechanical products, from high-tech equipment to widely-used general mechanical equipment as well as light industrial products like textiles, food, medicine, household appliances, daily necessities, transportation, electronic products and medical equipment, giving investment opportunities for Chinese enterprises, who have advantages in technology, talent and price. Second, the EEU has rolled out new investment facilitation measures. The joint statement signed by China and Russia on aligning cooperation between the Silk Road Economic Belt and EEU noted that the two nations should facilitate cooperation on large infrastructure projects and further promote trade facilitation and financial ties. Belarus pointed out in its economic and social development plan for the 2016-20 period that attracting foreign direct investment and improving investment efficiency are important tasks. Belarus' government can learn from other countries' experience in the management of investment projects and the protection of the interests of foreign investors, enabling the free flow of capital. Kazakhstan's government also rolled out measures in 2016 saying enterprises that set up plants in the nation's southern special economic zone would be exempt from value added tax, corporate income tax, land tax, property tax and tariff. As such, foreign enterprises in the cotton producing region can enjoy low electricity price, convenient transportation, sufficient raw materials and a broad market. There are several challenges in exploring EEU members' markets. First, mechanical and electrical products from China currently have limited market share and the technology needs to improve. Despite strong demand for mechanical and electrical products in the EEU, their total trade scale with China is small. Chinese mechanical and electrical equipment manufacturers, especially medium and small-sized enterprises, need to strive to improve investment efficiency by analyzing foreign-related laws and regulations, market demands and information about rivals. Second, textile and household electrical appliances from China have a relatively large market share in EEU, but are facing intense competition from the EU and the US. As the consumer structure is upgraded, Chinese exporters should adapt to market changes and build brand awareness. Newly established foreign trade enterprises need to have a market niche to avoid vicious competition. The connection of the OBOR initiative and the EEU does not simply refer to maintaining the existing patterns of economy and bilateral trade. Relative countries should have deliberate plans to enhance economic cooperation on the basis of mutual benefit.